Google needs your help to structure your web page and recipe data. Structuring data means you specify what different parts of your blog mean. To ensure your recipes (and other parts) in a blog are structured properly, Google provides a Structured Data Testing Tool. Zip Recipes WordPress plugin takes structures the data for you automatically. You don’t have to do anything other than create a recipe! The author field is recommended. Please provide a value if available. All Zip Recipes premium plans come with the Author feature. The Author feature allows you to add multiple authors to Zip Recipes. 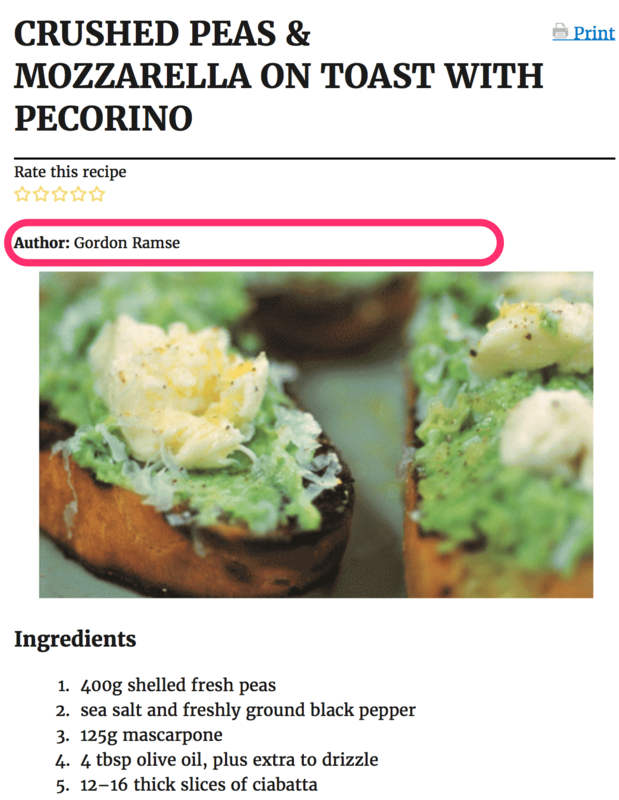 Then when a recipe is created an author can select their name from the menu or leave the default name. 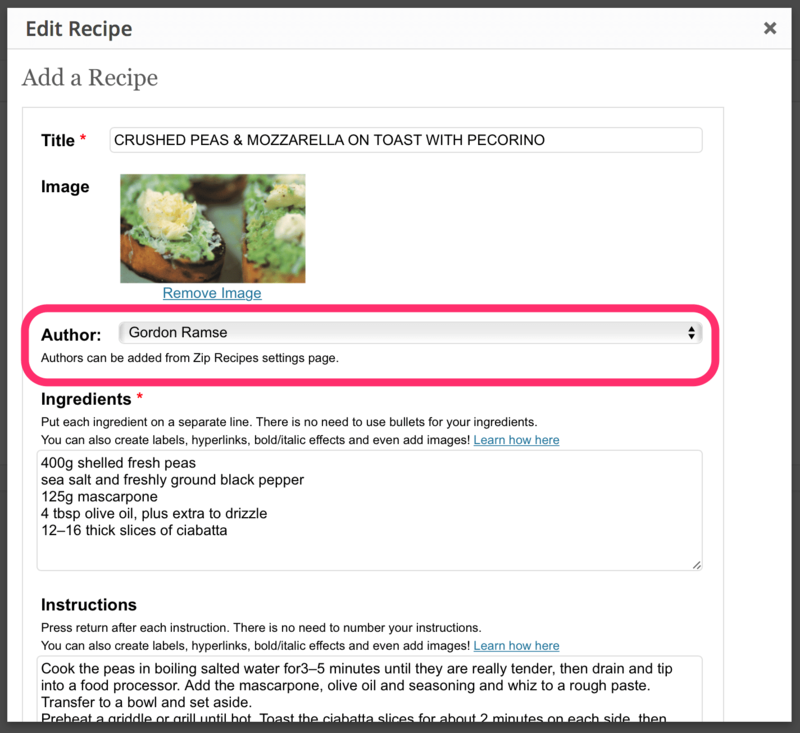 Immediately applies default author to your all recipes (that were created with Zip Recipes)! Best of all: Make Google happy!